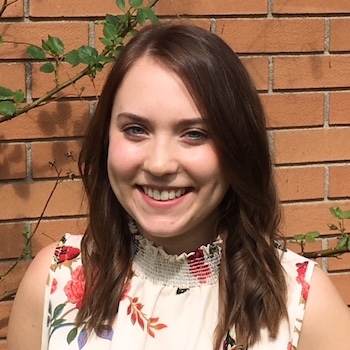 Waterloo – Graduate students from Wilfrid Laurier University have won two of the 10 provincial Women’s Health Scholars Awards for 2018/19. Brianna Hunt, a master’s student of Community Psychology, and Halina (Lin) Haag, a doctoral student at the Lyle S. Hallman Faculty of Social Work, will receive substantial scholarships to assist them in continuing their research on women’s health. The annual awards are funded by the Ontario Ministry of Health and Long-Term Care and administered by the Council of Ontario Universities. The awards are aimed at fostering a community of women’s health scholars, creating new knowledge about women’s health and translating that knowledge into improved health for women. Hunt, who is receiving the award for the first time, is researching the impact of discrimination on the mental health of Muslim women in Canada. In partnership with the Coalition of Muslim Women of Kitchener-Waterloo (K-W), she is investigating the experiences of diverse groups of Muslim women and the links between discrimination and anxiety, depression, low self-esteem and feelings of isolation. Hunt plans to share her findings in community workshops in Waterloo Region involving Muslim and non-Muslim community members. Her project proposal notes that Waterloo Region was among three Canadian census areas with the highest increase in hate crimes between 2014 and 2015, and that the highest increases in Canadian hate crimes were on the basis of religious and racial discrimination. Haag, who is receiving a renewal of the award she first received last year, researches intimate partner violence and brain injury. Her research investigates the barriers women survivors of violence encounter in the areas of mental health, return to work, service accessibility and social inclusion. Her work is partly inspired by her own traumatic brain injury, which occurred due to a car accident 15 years ago. 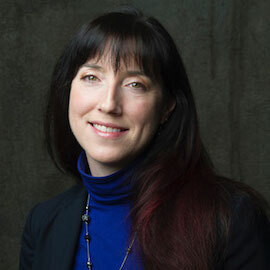 Under the joint supervision of Laurier Professor Eli Teram and University of Toronto Professor Angela Colantonio, Haag is working to develop the first Canadian traumatic brain injury toolkit for use by frontline workers in intimate partner violence support services. She is also looking at ways to partner with Indigenous communities in Canada to address their unique challenges and the barriers they face to effective services. Hunt will receive an award of $25,000 plus $1,000 research allowance, while Haag will receive an award of $35,000 plus $2,000 research allowance.